The Richmond has received a few enhancements during our recent updates. Most notable is the addition of a Principal 8 on the Great, which we have also duplexed to the Pedal. In the Positive, we have separated the Cornet III into individual stops for greater flexibility. Yet these changes continue to honor the classic disposition of stops on which the Richmond was originally designed. Hymns are led with the complete principal chorus, crowned with a Mixture. Colorful yet contrasting Flutes are available on each manual, and the Positive is comprised of a flute chorus. 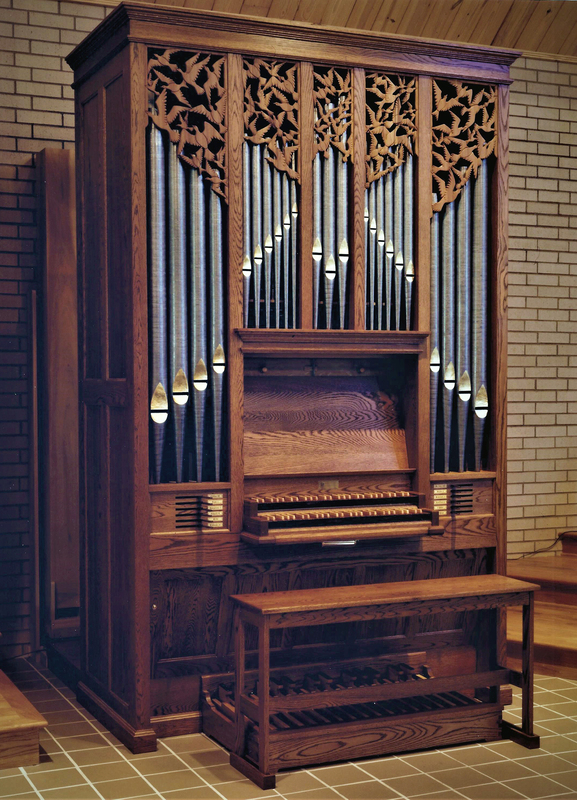 “An instrument such as this will lead hymns effectively, accompany elegantly, and play a substantial portion of the organ literature to great effect.” —Dr. Boyd M. Jones II, Professor of Organ, Stetson University, Winter Park, Florida.